A newsletter to keep you informed about all things election reform from FairVote. Visit this page to read the Reformer online. For more updates on FairVote’s work, visit our website and find us on Facebook and Twitter. Stay informed by signing up for more updates. FairVote is an electoral reform leader with a strong vision of where we want to go and practical strategies for how to get there. We value research and analysis, regularly adding posts to our blog and website research section. We urge you to visit the interactive map and comprehensive state-by-state profiles in Monopoly Politics 2014 and the Fair Voting Solution. Recently updated with analyses of open seats, the report allows you to know whether you live in one of the 371 districts already projected for one candidate in November and why. In 1997, we influenced a generation of political analysts by publicizing a way to categorize the partisan leans of House districts, and this latest update builds upon our 20-year history of reporting on House elections.The report also showcases state plans for achieving a better democracy through fair representation voting and details what our analysis means for issues like redistricting, campaign finance, and voting rights. Take a look tosee where your state stands, and come back on November 6 to see a list of projected winners in more than 380 of 435 districts for the 2016 House elections. Washington Post editorial on June 15 suggests time for multi-member districts for Congress: The lead editorial in the Washington Post yesterday was entitled Blending Red and Blue, with a subheading "Americans want lawmakers to work together, which may require changing the political system." The author states: “Rebuilding the political center might require more radical measures such as the revival of at-large or multi-member congressional districts, which used to be common in many states." The editorial does not assume use of fair representation voting, but such systems are clearly the best way to achieve the goals of the editorial. In the past two years, the Post has published two commentaries by FairVote Executive Director Rob Richie that made the case for fair representation voting. A note on Eric Cantor's defeat: House Majority Leader Eric Cantor’s June 10th primary loss was truly remarkable, but its shocking nature underscores how most primary elections are noncompetitive. Cantor is only the second House incumbent to lose this year, and 99% incumbent success in primaries is the norm. Most incumbents win easy primary victories and then easy general elections -- more than 97% of all House incumbents can be expected to return to Congress next year despite low ratings. We have more to say on our blog, but Cantor's defeat was not due to the “usual suspects” of closed primaries, redistricting and campaign spending. Our Representation 2020 project has produced a great resource, with extensive analysis and state-by-state profiles about representation of women in elected office and strategies for achieving parity: State of Women’s Representation 2013-2014. Women seem poised this year for gains in Congress (currently 83% men) and potentially governorships (90% men), and many are winning nominations in certain House districts that are safe for their party. Women will be competitive in several statewide races, including Republican Senate candidates Joni Ernst (IA) and Terri Lynn Land (MI) and Democratic Senate candidates Alison Lundergan Grimes (KY) and Michelle Nunn (GA).One example of a likely U.S. House winner is Bonnie Watson Coleman, who won herprimary election for New Jersey’s 12th district on June 3rd. Running in a heavily Democratic district, she is expected to be New Jersey’s first African American woman elected to Congress. She almost certainly will be joined by Mia Love, an African American Republican in Utah. More women of all parties should be elected to Congress and represented in our government. To learn more, visit our Representation 2020 website. Massachusetts adopts voter pre-registration for 16-year-olds: Massachusetts Governor Deval Patrick has signed a strong election reform law that includes voter pre-registration for 16- and 17-year-olds. A decade ago, FairVote identified this policy as a way to achieve the goal of getting young voters registered as they reach voting age, and played a direct role in winning it in Maryland, Rhode Island, and Washington, D.C. We also play supportive role in Colorado, Delaware and Florida. We congratulate MassVote and Common Cause Massachusetts for their leadership in the multi-year campaign in Massachusetts. Fixing top two primary systems with ranked choice voting and the Colorado innovation: In a recent Innovative Analysis, we wrote about primary elections and how to fix them. Voter turnout is plunging in primaries, and is far less representative than the November electorate. One proposal, the “top two primary system,” addresses real problems by increasing voter choice in primaries. But it also has unfortunate, correctable problems, as we explain in a timely review of this month's Top Two primary in California. The Coalition for a New Colorado Election System is circulating a ballot measure that largely corrects the downsides of the California Top Two system – the key innovation being advancing more candidates and relying on ranked choice voting (“instant runoff”) in November. See our team’s detailed analysis of the Colorado plan. We also like key elements of the proposal developed by Nevada's Doug Goodman, who is gaining support from legislators and publishing op-eds. National Popular Vote looks forward after big New York win / Listen to new podcast: FairVote has played an important role backing the National Popular Vote plan and is thrilled with this spring's big win in New York State. For those of you who are unfamiliar with the National popular Vote, it is a state-based means of achieving a presidential election. The candidate who receives the most votes in all 50 states and DC will win the presidency. This plan is on target to be in place for the 2020 election. 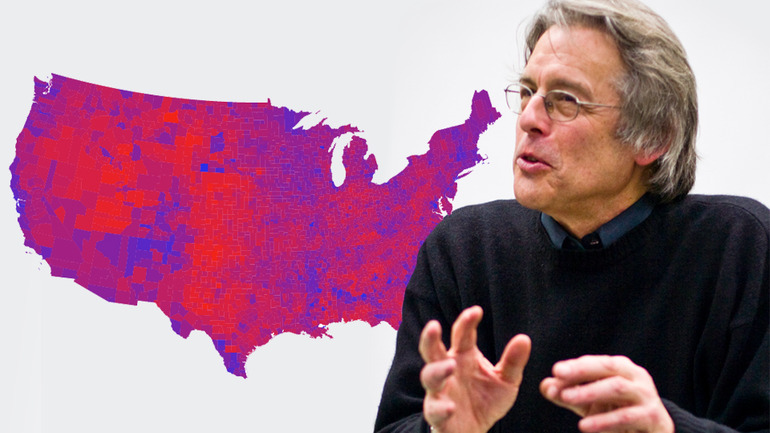 To learn more about the plan, listen to a great radio podcast with MoveOn.org’s Ben Wikler that features FairVote Board Member Hendrik Hertzberg of the New Yorker magazine, and read this Presidential Studies Quarterly article by FairVote’s Rob Richie and Andrea Levien. Richie and Levien also coauthored a report last week that debunks one of the primary myths about the National Popular Vote: that candidates will only spend their time in major cities. California jurisdiction adopts fair representation voting system: California’s Santa Clarita Community College District has agreed to move elections to November of even years and to extend cumulative voting rights to resolve a California Voting Rights Act (CVRA) case. The District also volunteered to host informational sessions for potential candidates. Board president Michele Jenkins said, “This is a fair settlement that ... promotes greater participation.” Read FairVote’s news release about an agreement earlier this year to extend cumulative voting rights in city council elections in Santa Clarita (a growing city of 180,000) and our amicus brief submitted in a CVRA case in January. Promote Our Vote success in Montgomery County leads to support for ranked choice voting: We’re thrilled with the work of the Voter Turnout Task Force in Montgomery County, the Maryland county of a million people where our office is located. The task force, which was created after the county council unanimously passed its version of our Promote Our Vote resolutions,recommends a slew of great pro-suffrage ideas, including extending voting rights to more residents and adopting ranked choice voting for all county elections. Stay tuned on what the council does with these recommendations. 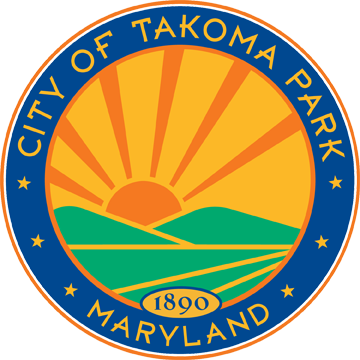 Voters in Takoma Park back FairVote-supported reforms like ranked choice voting: FairVote conducted a survey of voters during Takoma Park’s Ward 3 special election for city council. The survey focused on respondents’ opinions of Takoma Park’s suffrage laws and their views on the city's innovative voting policies. Our overview of the results tells the full story, but a few highlights: in the hotly contested race, 49% of voters said there were fewer examples of candidates criticizing one another while 2% said more, and of those with an opinion about city practices, 93% support ranked choice voting, 89% back Election Day registration, 80% back voting rights for noncitizens, 76% support voting rights for all citizen residents with felony convictions, 75% support guaranteed candidate access to apartment buildings and 72% support voting rights for 16 and 17-year-olds. And once again, more 16 and 17-year-olds voted than all 18 to 30-year-olds combined. We also did an exit survey last month when more than 3,000 Arlington County (VA) Democrats voted in a firehouse primary with ranked choice voting. This contested race needed an instant runoff to determine the winner, and the system was widely praised. We will release our survey results later this year. We also have been tracking the growing use of ranked choice voting in elections on campuses (used in more than 50 American colleges and universities, as discussed in our recent pieces on RCV elections in UCLA and Oregon State) and organizations (including many major associations, and also the Academy Award Oscar for Best Picture). FairVote’s hiring a new program director: We are looking for a talented and experienced leader to help lead our growing team. See our job announcement for a program director to work in our Takoma Park office. FairVote crosses the “marathon” finish line: Thanks to the many generous contributions we received from supporters like you, we were able to achieve our donation challenge of $26,200 for Executive Director Rob Richie’s First Marathon – with each dollar matched by FairVote board members. But we still have a long way to go to reach our First Million goal. To contribute or learn more, visit our donations page. FairVote submits testimony and on the road: Our Executive Director Rob Richie submitted testimony about innovations for overseas voters to the U.S. Senate Committee on Rules and Administration in May and FairVote chair Krist Novoselic addressed the Libertarian Party of Washington. Rob also was a featured speaker at a May forum of the League of Women of Voters of DC, a Stanford conference on electoral reform, our Oakland ranked choice voting forum, and a New York City ranked choice voting briefing. FairVote bids farewell to staff members and welcomes new additions: We have hired a remarkable group of eight Democracy Fellows, who will join our team in September. We welcome Rebecca Hellmich, who has begun her fellowship, and a terrific crew of summer interns (pictured to the right) who are already making excellent contributions to our FairVote blog. We also wish the best to 2013-2014 fellow Amanda Gaynor, who has a great new job, and to departing research and policy staffers Devin McCarthy and Andrea Levien, who will be entering graduate school this fall. Their contributions have been innumerable, and they will be missed.